Shade Requirement: Full sun to partial shade. 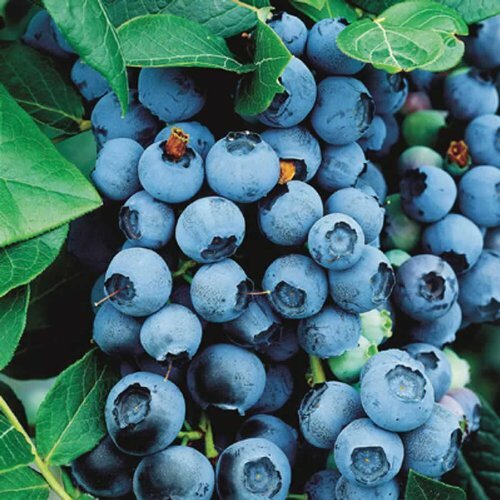 Fruit: Medium sized blue round berries, form in clusters on the plant. Flower Form: Large white bloom clusters in early Spring. This hardy native grows to 12-14 ft. high, covered with glossy green foliage. It’s delightfully disease and pest resistant – almost no maintenance required! Sets large white flower heads in early spring, followed by giant clusters of blue, juicy berries in August. Perfect for jams, jellies and pies.